The Intimate Wedding You Wanted But Didn’t Know You Could Have. 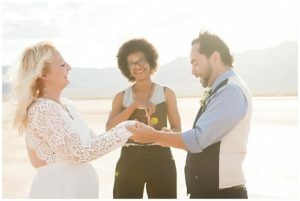 Cactus Collective is your one-stop shop for uniquely-designed, inclusive destination wedding packages and desert elopements in Las Vegas. 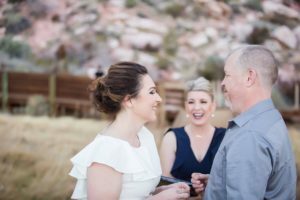 When you’re considering privately eloping or hosting an out-of-town, intimate wedding, don’t let the details distract you from what your day is really about. At Cactus Collective, we bring peace to the wedding planning process for couples from all over the world, helping to create incredible experiences for both you and your guests — while walking away with high-quality photography you can cherish for a lifetime. Doing Las Vegas elopements differently. Location. Photographer. Wedding officiant. Florals. For one flat (and affordable) fee, we orchestrate the day from start to finish, tailored to your desires. You just have to dress up, and show up! The staged. The candid. The details. Everything in between. We’re photographers, first — and good photography matters when preserving the moments that matter most. Perfect backdrops for your perfect day. All natural; no fuss: We’ll help you choose and secure the desert location that best suits your style. All the details you need for the perfect destination wedding. Here at the Collective, nothing matters more to us than taking the stress out of your planning, staging the perfect environment, and capturing your day with photos you’ll look back at with smiles and (happy) tears for a lifetime. from day one until you say I do.